1179 slums have been identified by by GHMC officially. Slums continue to grow at a rate of 6.06% per annum. Primary sources of livelihood includes housekeeping, autorickshaws, blue collared work and street vending. Congested habitations and living conditions make academic excellence a challenge. Holistic development of lesser-privileged children.Courses are offered in: Academics, Self-defense, Vocational Training and Personality DevelopmentSpecial focus is laid on: Health and hygiene, Nutrition awareness, career counseling and extra curriculum activities. 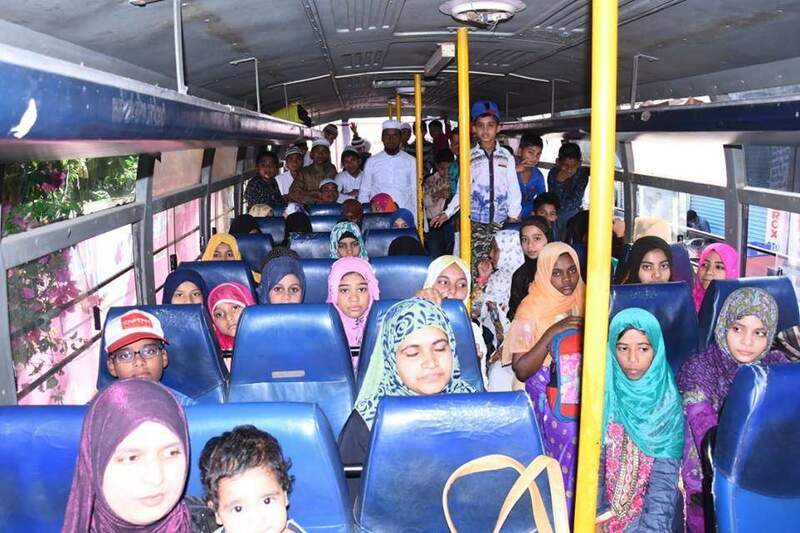 TKF volunteers visit recognized slum areas, and identify student groups from Govt. 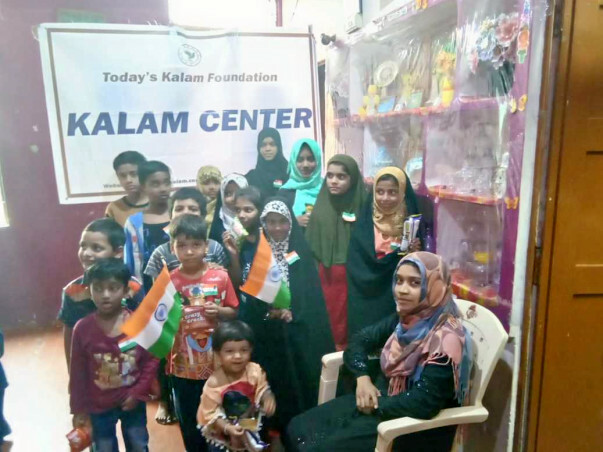 schools.Mentors are identified from the same slum, and employed.A “Kalam Centre” is established in a local hall or study space.Mentors provide after-school support to the students for 2 hours per day.Each centre consists of around 25 kids.Attendance is recorded everyday. Volunteer in our Centers regularly and assist in teaching. Train our mentors and volunteers and interact with them Quarterly or Half Yearly. Sponsor as individuals or groups to support a center. 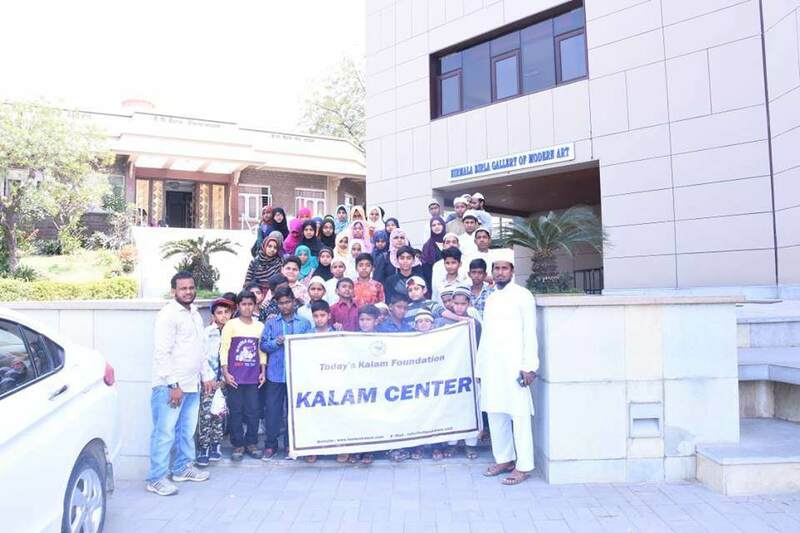 Each Kalam Center costs us: Rs 50,600 / year. You could contribute as feasible and opt to sponsor and visit specific centers. 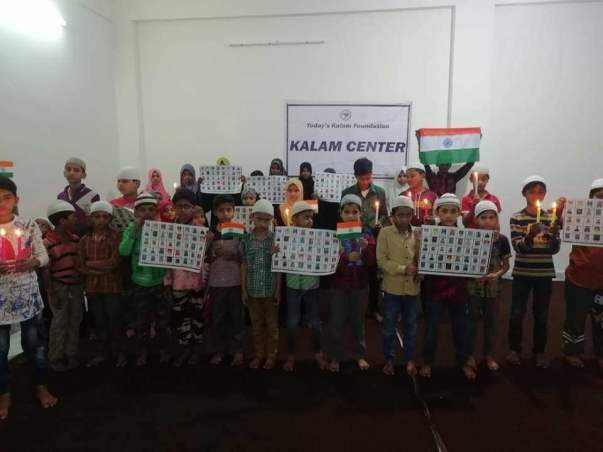 We thank each and everyone Personally for Supporting the Children in Kalam Centers and helping them to continue their education. We are planning to run Special camps in Summer so that than regular more children can attend and get benefited. By taking feedback of last year activities from volunteers we are preparing next year plan and budget in next update we will give our plan. This year we have benefited 450 children. 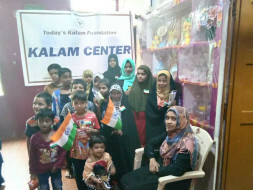 We thank each and everyone for supporting the Children of Kalam Centers. We have taken all our children for Science Museum and Planetarium in March. For more updates of our activities Please follow our facebook page: https://www.facebook.com/todayskalamofficial/. I am also increasing the number of days to reach out to more number of potential donors. Thank you for the support. 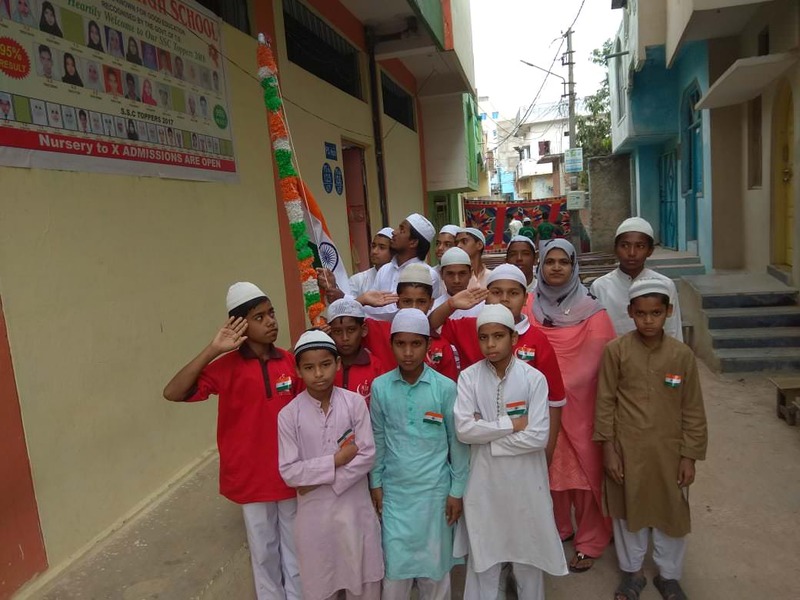 Please find the images attached from the recent REPUBLIC DAY celebrations. They were also paying tribute to the martyred soldiers. Please keep supporting and sharing the campaign with your friends and family.